Atrack was designed by ORTLIEB with the purpose to define a new backpack category: the Active Travel Backpack is waterproof according to IP67 standards. It will perfectly adapt to any kind of traveling and various sports activities. 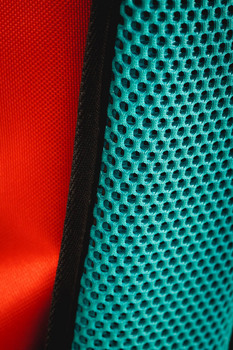 The unique position of the TIZIP zipper and its special opening system allow for an easy access and a large opening. 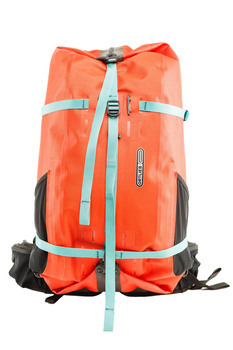 Atrack is a combination of outdoor backpack and travel duffle bag. The modular system and numerous accessories create an individual and flexible pack within seconds: Atrack is perfect for any adventure in the outdoors or the city. And of course, Atrack is made in Germany! 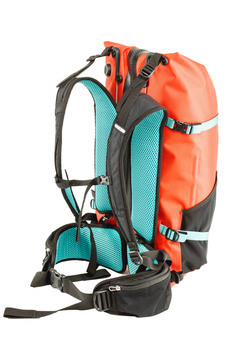 The Atrack represents an impressive new design for waterproof packs. The position of the special rear entry zip is an interesting solution that offers new packing options with easy access. Ortlieb have also given it a number of convincing practical details, such as the multiple attachment options.